Rising oil and gasoline prices haven't cut into economic growth yet, and analysts aren't expecting them to this year. Energy prices have been rising fast. But not enough to derail the economic recovery. Not yet anyway. Over the last month, crude oil prices have risen over 4% and are approaching $100 a barrel. Analysts think they'll soon trade in the triple digits. Gasoline futures are up even more, rising 8% over the last 30 days. At the pump, drivers are now paying 14 cents more a gallon than they were in mid December. The only outlier is natural gas, which is used to heat homes, among other things. Natural gas prices have fluctuated widely based on the weather, and have fallen about 4% this month as the cold snap gripping much of the country was expected to ease. Energy analysts say prices are rising partly because the cyclical nature of energy prices -- they often rise ahead of strong summer demand -- is happening earlier and earlier each year. But they're also rising because there's a sense the economy is getting better. When that happens, higher gas prices can lead people to pull back spending on other things -- a self-defeating prophecy that crimps any economic recovery in progress. "Higher energy prices act as a tax increase," said Chris Lafakis, a senior economist at Moody's Analytics, noting that they're also coming on the heels of another tax increase -- the expiration of the payroll tax holiday -- at the start of the year. "That sets us up for weakness." 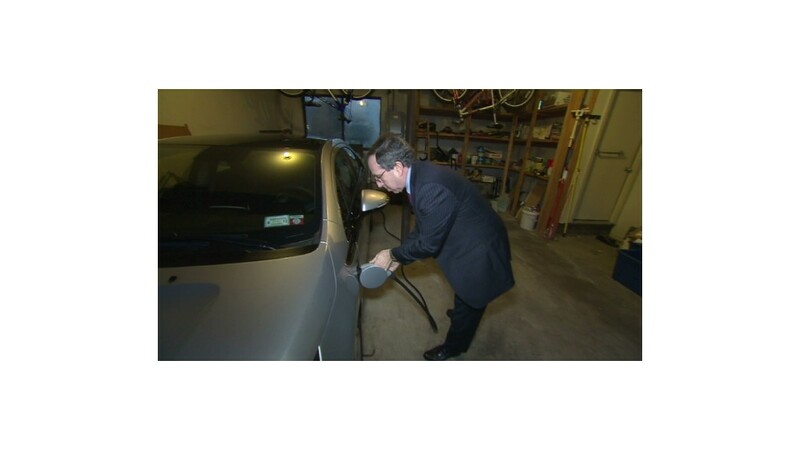 Lafakis said that every penny that gasoline prices rise costs consumers a billion dollars over the course of the year. But he doesn't think the drag will have a noticeable effect on economic growth quite yet. Oil and gas prices were, after all, at this level just a couple of months ago. Oil prices were substantially higher at the start of last year. "We've withstood $100 a barrel before, and we can do it again," said Beth Ann Bovino, deputy chief economist at Standard & Poor's. If prices went considerable higher -- Bovino mentioned $150 a barrel -- that might not be the case. Fortunately for drivers and the economy at large, no one is predicting record prices this year. Largely thanks to an oil and gas production boom in this country, gasoline prices are expected to top out somewhere between $3.50 a gallon and $3.90 a gallon this year, according to Tom Kloza, chief oil analyst at the Oil Price Information Service. 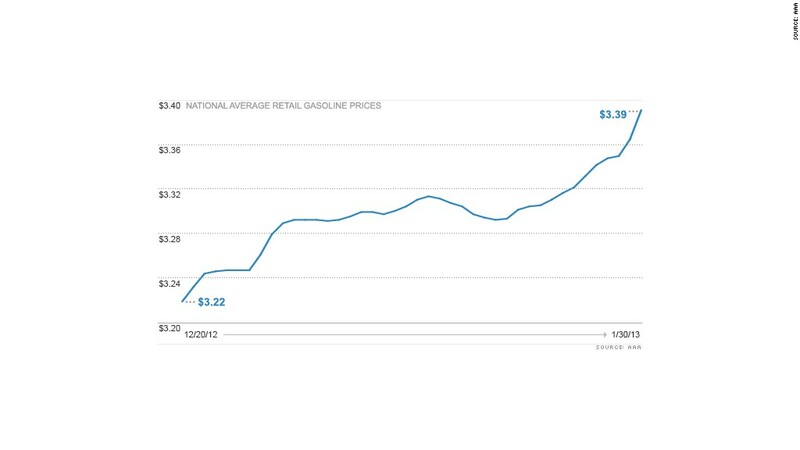 Last year's top price was $3.94 a gallon, set in early April. Average prices for the year are expected to be lower too. Kloza is predicting an average of $3.25 to $3.50 a gallon. That's considerably lower than last year's average of $3.60 a gallon -- which caused U.S. motorists to spend a record $479 billion at the pump. Other analysts say U.S. oil prices could briefly dip to $50 a barrel sometime in the next 24 months. In addition to bringing lower prices, the energy boom also has a flip side (not the environment, which is another story): Rising energy prices actually help big sectors of the economy. Gasoline and other refined products are the country's largest export. Hundreds of thousands -- if not millions -- of people in the industry see their paychecks go up when energy prices rise. Higher oil prices make shipping manufactured goods from overseas to the United States more expensive, encouraging companies to set up shop and hire domestically. So while rising energy prices were once viewed largely as a negative for the economy, they now have a mixed impact. Some economist even think it's a good thing over all. "Great, that's just what we need," Robert Brusca, chief economist at Fact and Opinion Economics, said when asked about rising energy prices. "In the short tern it might not be good, but in the long run it could be a positive."